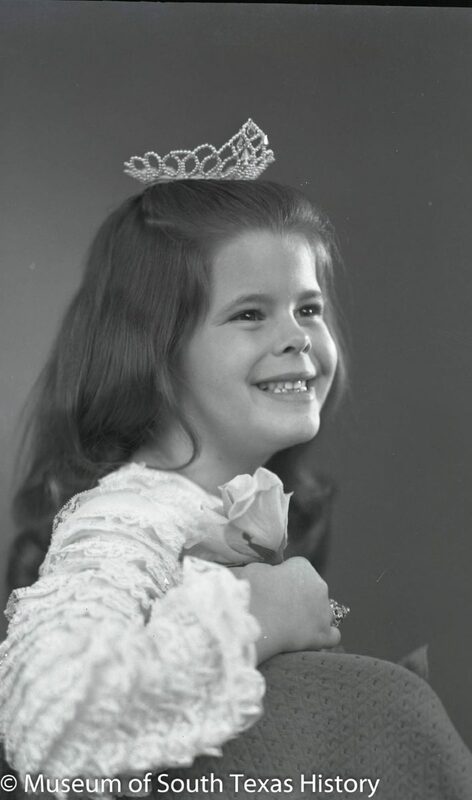 Black and white photo of a young girl wearing a tiara. The photo was taken in 1965 and was part of the Kerr Studio Collection. Who is this girl? Send information with photo number 36 to kfrancis-love@mosthistory.org.